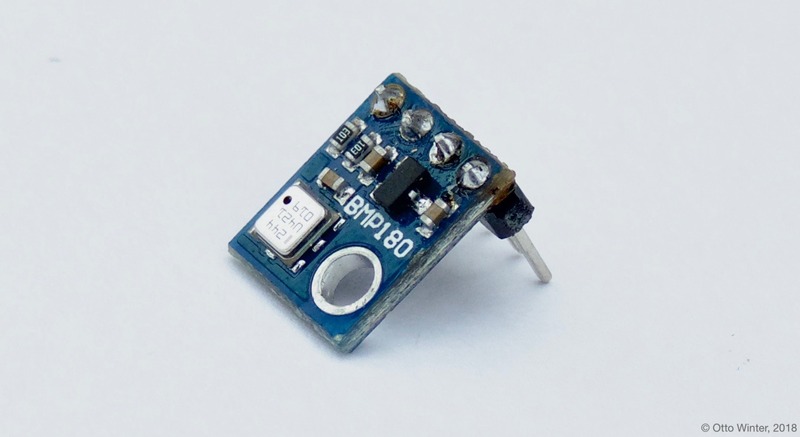 The BMP085 sensor platform allows you to use your BMP085 (datasheet, adafruit) and BMP180 (datasheet, adafruit) temperature and pressure sensors with ESPHome. The I²C is required to be set up in your configuration for this sensor to work. BMP180 Temperature & Pressure Sensor. temperature (Required): The information for the temperature sensor. address (Optional, int): Manually specify the I²C address of the sensor. Defaults to 0x77.